Spend the extra money, they're worth it. If you want inexpensive water bottles, and don't mind your beverages being the same temperature as the outdoors, then do NOT buy these bottles. But, if you like your cycling beverage to remain coldcool on a long bike ride when it's warm or even hot outside, then these are the go to bottles. Will they keep your water cold for hours and hours in 90F heat? Nope. But, they will keep it cool for hours and hours longer than traditional water bottles. The only downside is that cleaning them is a bit of a challenge. Nozzle has easy and good flow. Take on the road. Easy to grab and use while riding. Decent selection of colors. 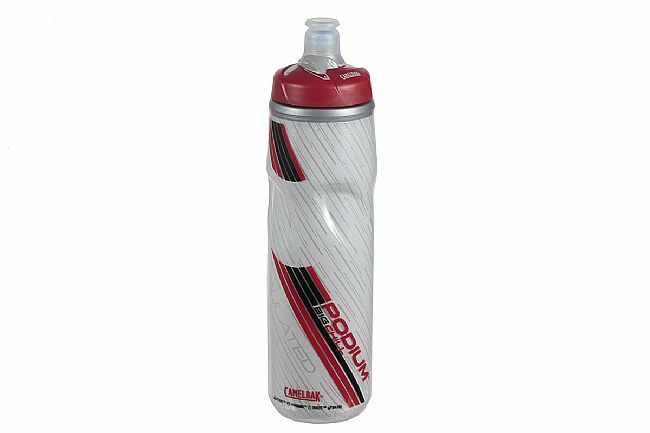 my favorite water bottle for spin class & on the road. lock feature keeps bottle from leaking when traveling.